No matter how careful you were to cover all of your bases in drafting, negotiating, and reviewing contracts, every business transaction has the potential to somehow go awry. Unexpected business disputes may be difficult to resolve and often lead parties into costly litigation if not handled correctly. To avoid the time, stress, and money involved in lawsuit and court proceedings, it is imperative to seek representation from an experienced St. Charles and St. Louis business dispute attorney as soon as possible. 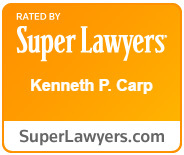 An experienced attorney at the Law Offices of Kenneth P. Carp will work to resolve your dispute efficiently and in your best interests, so please call our office at 636-947-3600 for a free consultation. These are, of course, only a few examples as business disputes may arise under any number of circumstances, and you always want an attorney who can handle the unique circumstances of your dispute. Whether another party acts wrongfully or accuses you of acting wrongfully, you always want to resolve the dispute as quickly and efficiently as possible so you can return to business as usual. Several alternatives to litigation exist that can help you resolve your dispute without lengthy battles in court. Examples of alternative dispute resolutions (ADR) include negotiation, mediation, arbitration, and more. These methods take place outside of a courtroom and can help many business owners come to agreements without the need for litigation. An experienced St. Louis business dispute attorney can identify the most effective ADR methods for your particular case to save you time and money. ADR is not always successful, however, and sometimes litigation is necessary to resolve disputes. You always want an attorney who has litigation experience and who will provide aggressive representation in the courtroom when necessary. At the Law Offices of Kenneth P. Carp, we understand that your primary focus should be on the smooth operations of your business, and we know that a business dispute has a high potential to take up unnecessary time, energy, and resources. Instead of attempting to handle disputes on your known, you should never hesitate to trust experienced dispute attorney Kenneth Carp to skillfully bring the matter to a swift resolution. We offer free consultations, so please contact us today at 636-947-3600 for help.